Everything just a stone’s throw away. 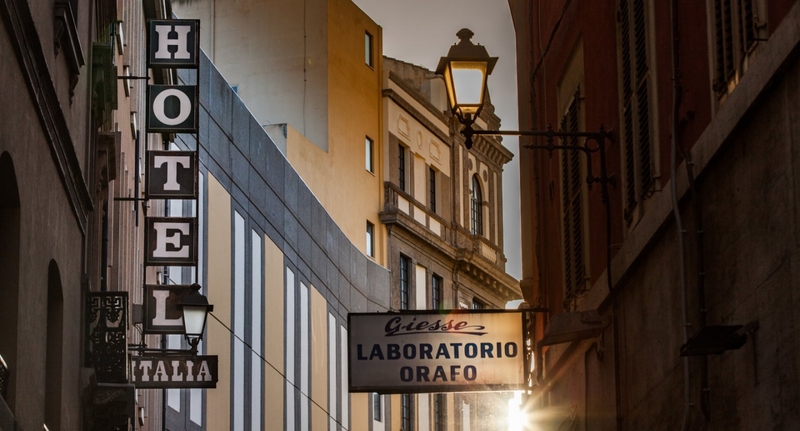 Hotel Italia is located on Via Sardegna, in the heart of Cagliari, within the time-honoured Marina quarter, just a short stroll from the harbour and the station. This privileged position allows our guests to make the most of their time in the island’s capital and to engage fully with all that the city has to offer. As you walk out of the hotel, you can immerse yourselves immediately in the criss-crossing alleyways, lined by myriad restaurants and shops, as you are enveloped by an atmosphere rich in history, fragrances and flavours.